The Delhi High Court on 12 December reserved the order on plea seeking cancellation of anticipatory bail granted to senior Congress leader Sajjan Kumar in connection with 1984 anti-Sikh riots case. Last month, the Special Investigation Team (SIT) had approached the Delhi High Court seeking cancellation of the anticipatory bail granted to Kumar. Earlier on July 19, the Delhi High Court heard Kumar's plea in regards to the same case. On July 13, a second judge of the Delhi High Court recused himself from Kumar's case. Earlier as well, one judge had recused from hearing the matter. On June 10, the first Delhi High Court Judge recused himself from hearing Kumar's bail cancellation plea in connection with the riots, as the appearing advocate was his relative. 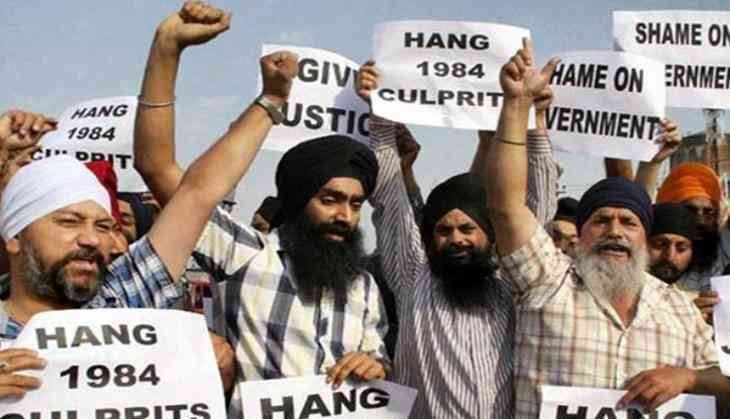 Earlier in April, the court had reopened five cases in connection with the 1984 anti-Sikh riots that were closed in 1986. The Central Bureau of Investigation (CBI) had also filed appeals against the acquittal of Kumar and life sentence to ex-councilor Balwan Khokhar">Balwan Khokhar. The high court had taken suo motu cognizance as during course of the arguments, Kumar's lawyers mentioned these matters as precedents since co-accused Mahender Yadav, Balwan Khokhar">Balwan Khokhar and Kishan Khokhar had been acquitted in them. The court noted that eyewitnesses had not been examined in those cases and there was a "travesty" since investigation was not done properly. The court took suo motu cognizance of the "errors" in the 1986 trial judgment, adding that key eyewitnesses were not examined and cases were closed "very rapidly" seemingly without proper investigation and trial. The bench passed this order after taking note of the trial court judgments passed in 1986 in the five cases. The apex court had also directed the Centre to deposit more than 190 files in connection with this case. Attorney General Mukul Rohatgi told the Supreme Court that the SIT in as many as 263 cases had no case files and there was no trace of any victim or witness. On February 20, the Centre filed a status report in the top court on the investigation conducted by the SIT into anti-Sikh riots cases. The anti-Sikh riots that broke out after the assassination of then prime minister Indira Gandhi, claimed 2,433 lives in Delhi alone.